This article is a short summary of Donkey Kong Land III. The Boxart for Donkey Kong Land III. 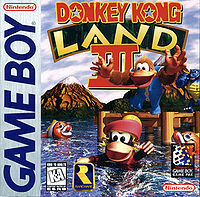 Donkey Kong Land III is a game released for the Game Boy and was later exclusively released in Japan with a Game Boy Color port.